Brighton full day Workshop just announced! A special moment from our recent trip to Gibralter! 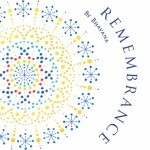 Our New Album – Remembrance – now available! We are really excited that our album is now available for sale! We hope you enjoy! Our new album is about to be released!